The Paintball Extravaganza Industry Luncheon - Wednesday, from 12 noon to 1:55 in the Cirrus A Classroom. Don't miss this opportunity to hear the guest speaker, industry leader on the State of Industry and a common round table discussion with peers from the industry. 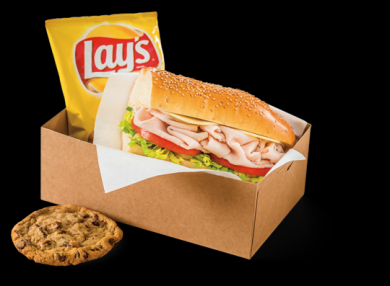 Attendees will receive a box lunch consisting of choice of sandwich, chips, whole fruit, fresh baked cookie and ice tea or ice water. Make choice of turkey, beef, or veggie sandwich below at time of registering for luncheon. The 2018 Industry Luncheon saw nearly 100 attendees, remaining one of the popular segments of Paintball Extravaganza. SEATING IS LIMITED. PRE-REGISTRATION/TICKETS WILL BE REQUIRED FOR ENTRY INTO LUNCHEON AND PRESENTATION. REGISTRATION FOR LUNCHEON WILL CLOSE at 10 AM on WEDNESDAY. WELCOME/OPENING: Rick Chard & Mike "Pev" Peverill. PRESENTATION: Cracking the Internet presented by Marketing by Kevin. If you want more free TRAFFIC from Google, Bing, Yahoo, etc. If you feel like you have wasted time and money with SEO in the past. If you own a paintball field. If you own a paintball website/e-commerce. If you own all of the above or more than one. Google wants the BEST sites to come to the top of the search results. It has a set of Ranking Signals. Google wants to serve up the most prominent authority on the subject that the user typed in. So what does Google consider an authority and how do you become one yourself? OPEN DISCUSSION/ROUND TABLE (after presentation) - Moderated by Mike "Pev" Peverill. Seating is limited. NO REFUNDS.